These sweet fruit kebabs make the perfect healthy home-time treat. Kids can join in the fun by helping to make them too! 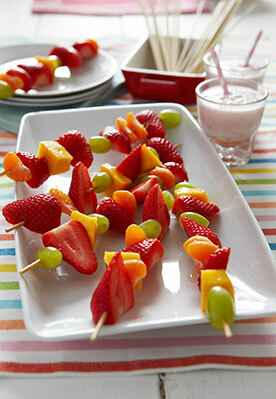 On wooden skewers, thread on the sliced fruit, alternating the strawberries with the mango, tangerines and grapes.